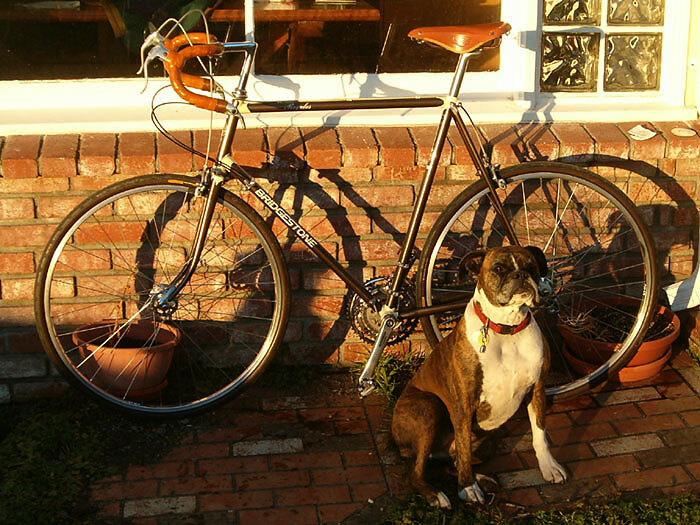 This bike was fished from the spare parts heap at our community Bicycle Library. 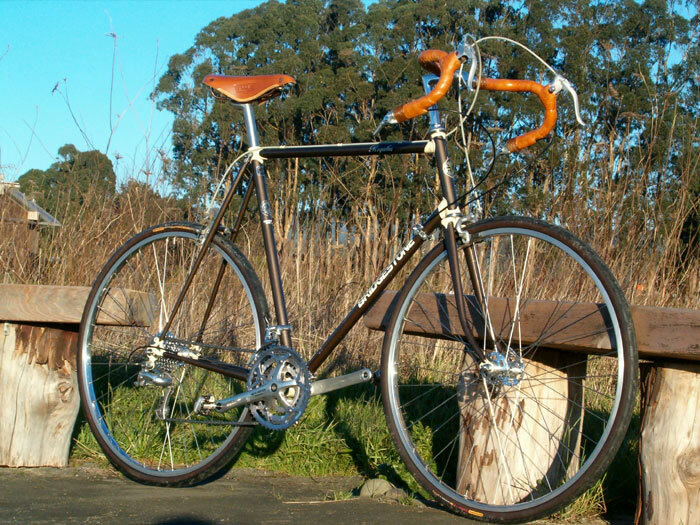 My first intention of a "cobbled together on the cheap road bike" was thwarted by the discovery that this abandon frame, fitted with mismatched wheels missing shifters, seat and cables, had a noble pedigree. 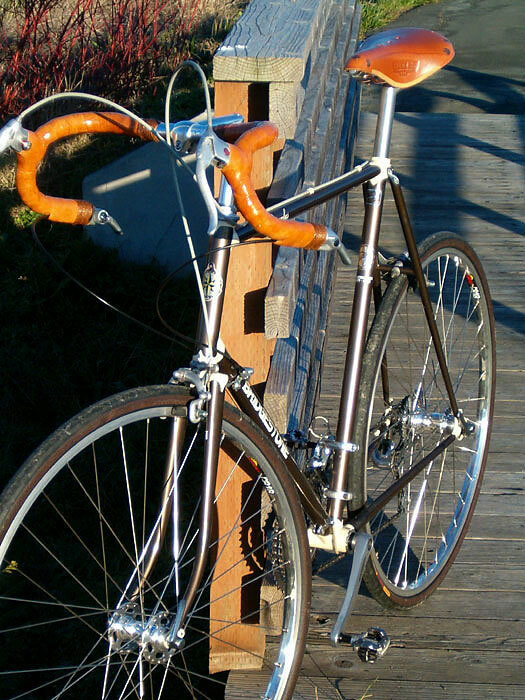 The selection of the Brooks Saddle, shellacked Cinelli cork tape, White Industries hubs and bar end shifters were aesthetic. The remaining Shimano components were selected to make this my ride for a local century featuring over 10,000 feet of vertical coastal mountain road. 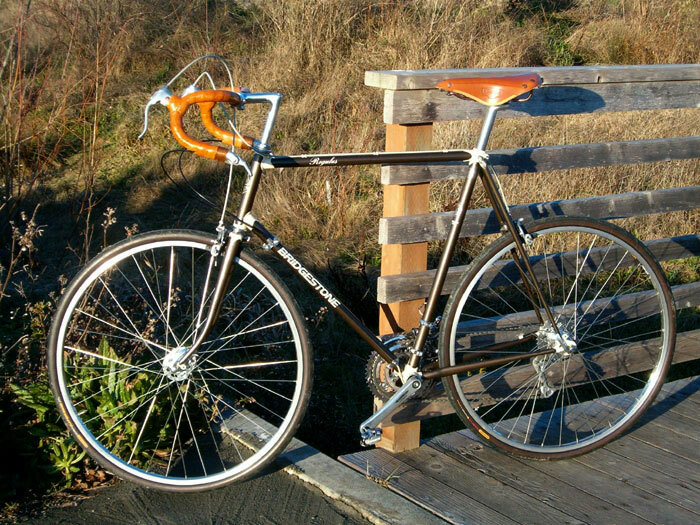 Special thanks to David at Revolution Bicycle for being the first pro who didn't point out that buying a new Bicycle would be more cost effective.